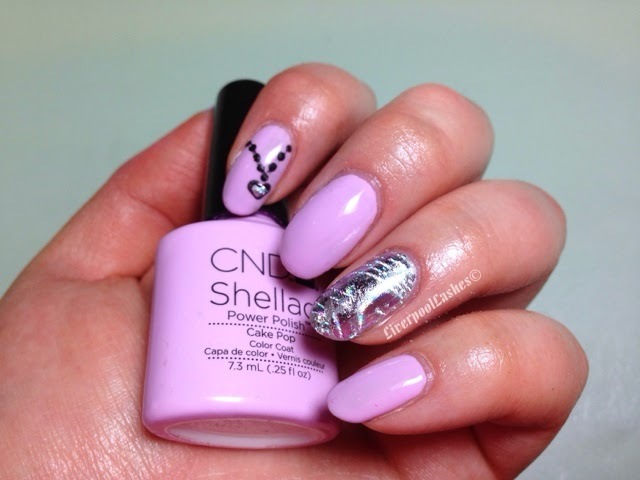 I call this nail of the day but let's face it, it's Shellac so it could be nail of the month!! I literally sat in my home salon and wondered what to do with my nails. The only thing I knew was that I didn't want anything dark (although I adore dark nails) and I wanted something simple and elegant. After brainstorming to the point of near exhaustion (a little bit of dramatics there) I came up with this. My favourite way to wear foils is to completely cover the nail, it's just what I prefer. As that nail is so eye catching I just wanted something basic but beautiful which I think I managed. I really love these nails!